"State of the Race" is a regular feature running Fridays exclusively on MSN and at The Hill through the November election. No Democrat in a competitive House race this year is running on an anti-abortion rights platform, in a significant shift from 2006 when the party reclaimed the House with a more ideologically diverse slate of candidates. The shift underscores the increasingly stark partisan divide on the issue and how Democrats have largely consolidated around support for abortion rights as they look to retake control of the House in November. The trend also comes as Brett Kavanaugh, whose nomination was roiled by sexual assault allegations, appeared poised to be confirmed to the Supreme Court as early as Saturday, amid liberal fears that he will side with other conservative justices to undo the legal precedents set in Roe v. Wade. Kavanaugh has denied the sexual assault allegations. "The people interested in getting involved in Democratic politics in recent years - you're just not going to find a lot of pro-life people in there," said Geoffrey Layman, a political science professor at the University of Notre Dame. Though none of the candidates in the 84 competitive House seats targeted by the Democratic Congressional Campaign Committee (DCCC) are running on an anti-abortion rights platform, there are still more subtle variations in the stances of some this cycle. Rep. Conor Lamb (D-Pa.), who won a deep-red district in a March special election and is favored to win a full two-year term in November, veered away from discussing abortion rights on the campaign trail. Lamb, a Catholic, has said he personally opposes abortion, but was also opposed to the GOP's ban on 20-week abortions. Meanwhile, Kentucky Democrat Amy McGrath, who's running in a high-profile race against Rep. Andy Barr (R-Ky.), supports abortion rights, but didn't seek an endorsement from EMILY's List, a group that aims to elect female candidates who back abortion rights. It's a noticeable contrast with 2006, the last time Democrats swept the House and regained control of the chamber. Back then, the party recruited more candidates who didn't toe the party line on issues like abortion and gun rights. Among those candidates were Brad Ellsworth in Indiana, Heath Shuler in North Carolina and Nick Lampson in Texas - all of whom did not support abortion rights and who went on to win their respective races. They have all since left the House. 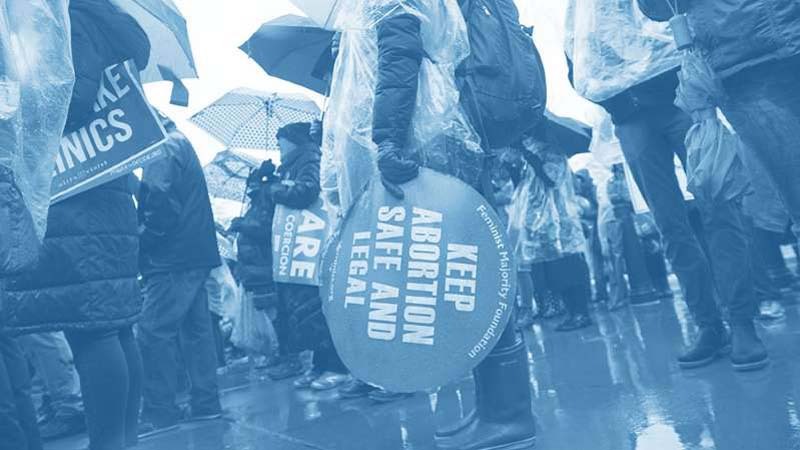 The shift away from candidates who support abortion rights is a byproduct of the Democratic Party's continual shift to the left as the party continues to grapple with the concept of a "big tent." Last year, Sen. Bernie Sanders (I-Vt.) and Democratic National Committee Deputy Chairman Keith Ellison sparked an outcry from some Democrats after they campaigned alongside a Nebraska Democratic mayoral candidate with a mixed record on abortion rights during the party's "Unity Tour." The candidate, Heath Mello, had previously backed a Nebraska State Legislature bill mandating that women seeking abortions be informed of their right to request a fetal ultrasound before the procedure. That prompted an outcry from abortion-rights advocacy groups and many liberals, who accused the Democrats of betraying women voters and the party's liberal base. Ilyse Hogue, the president of the abortion-rights advocacy group NARAL Pro-Choice America, at the time called the party's support for Mello "politically stupid." In fact, Democrats have become increasingly wary of alienating their base by recruiting candidates with more conservative views on issues like abortion, especially since moderate voters who oppose abortion rights are small in number compared to the wider base. "It's a small number of voters who they'd be trying to chase," said Hans Noel, an associate professor of government at Georgetown University. "The cost of going after those increasingly small groups of voters is greater because you risk alienating your base." Democrats for Life, a group that supports anti-abortion rights Democrats, has not endorsed a single House candidate running in a competitive race this year, though they are supporting incumbent lawmakers who are opposed to abortion rights, like Reps. Dan Lipinski (D-Ill.) and Collin Peterson (D-Minn.), and two Democratic candidates in running in deep-red seats. The number of Democratic lawmakers who are anti-abortion rights is also dwindling, though a handful still remain. Lipinski, Peterson and Henry Cuellar (D-Texas) joined Republicans last year, voting to make the Hyde Amendment, which bans the use of federal funds for abortion services, permanent. And all three voted for a 2013 proposal on a 20-week abortion ban in the District of Columbia. Also driving the shift away from more overtly anti-abortion rights candidates is a larger trend of polarization within both parties, experts say. "I think it's indicative of this larger polarization within the parties," Melissa Deckman, a political science professor at Washington College in Maryland. "The parties have become hardened on certain issues and abortion is one of those issues that serves essentially as a litmus test." "You have voters in the primaries who care passionately about this issue on both sides," she added. "For Democrats, these primary voters are very pro-choice. It's very difficult for a pro-life candidate to emerge in that environment." That polarization was seen during the confirmation process for Kavanaugh, who is expected to replace former Supreme Court Justice Anthony Kennedy, often a swing vote in abortion rights cases. While Kavanaugh told lawmakers during his confirmation process that the precedent set in Roe v. Wade is "settled law," many Democrats have questioned whether he could move to overturn that precedent. The polarization comes even as polls continue to show that average voters tend to be less divided along party lines. A Pew Research Center survey conducted last year showed that roughly one-third of Republicans support some form of legalized abortion. For Democrats, about one in five said that abortion should be banned in all or most cases. In an interview with The Hill last year, Rep. Ben Ray Luján, the chairman of the DCCC, said that the party would still support candidates with anti-abortion rights platforms, insisting that it is more important to recruit those who can win in their districts. "There is not a litmus test for Democratic candidates," he said. "As we look at candidates across the country, you need to make sure you have candidates that fit the district, that can win in these districts across America." But few see the trend towards supporting abortion rights within the Democratic party reversing any time soon. Layman, the professor at Notre Dame, said pro-abortion rights positions are more common among the activist base - and those members are the most likely to seek public office under the party banner. "These active, committed base members are not only extremely liberal but they're very committed to the Democratic Party and significantly more likely to get involved in politics," he said.